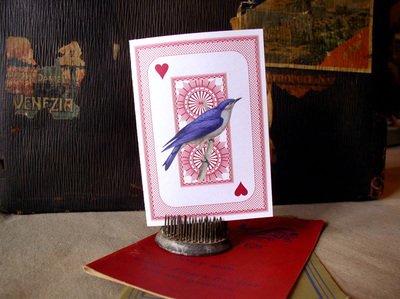 Valentine card with bluebird / playing card motif. 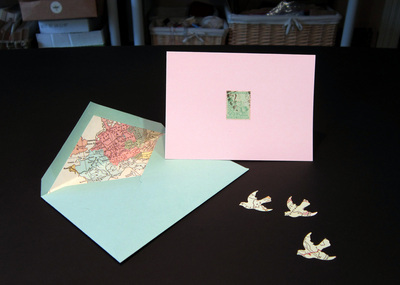 Note card with Italian postage stamp and map lined envelope. 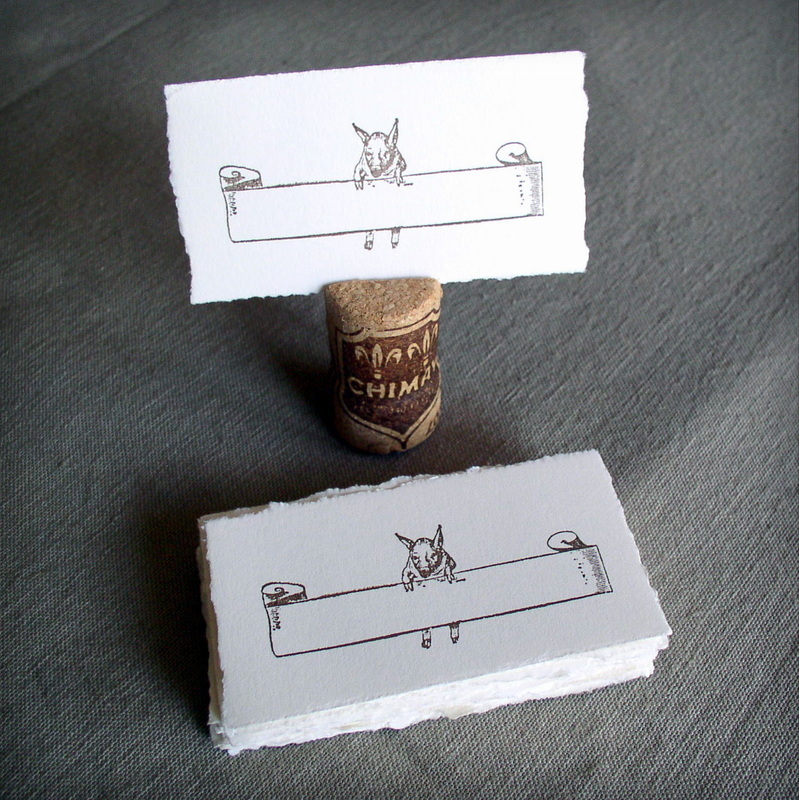 Piglet place card or gift enclosure. 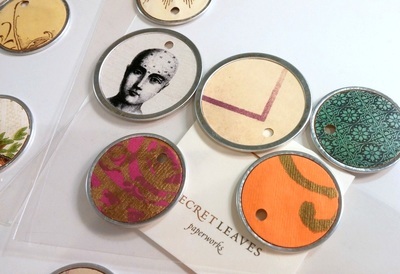 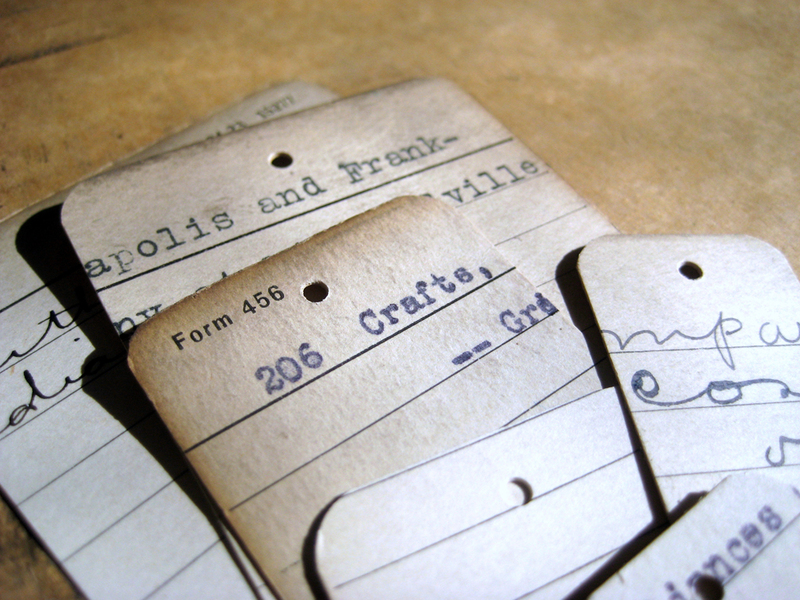 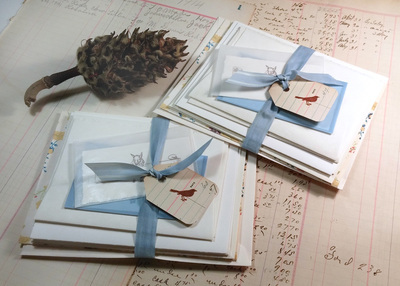 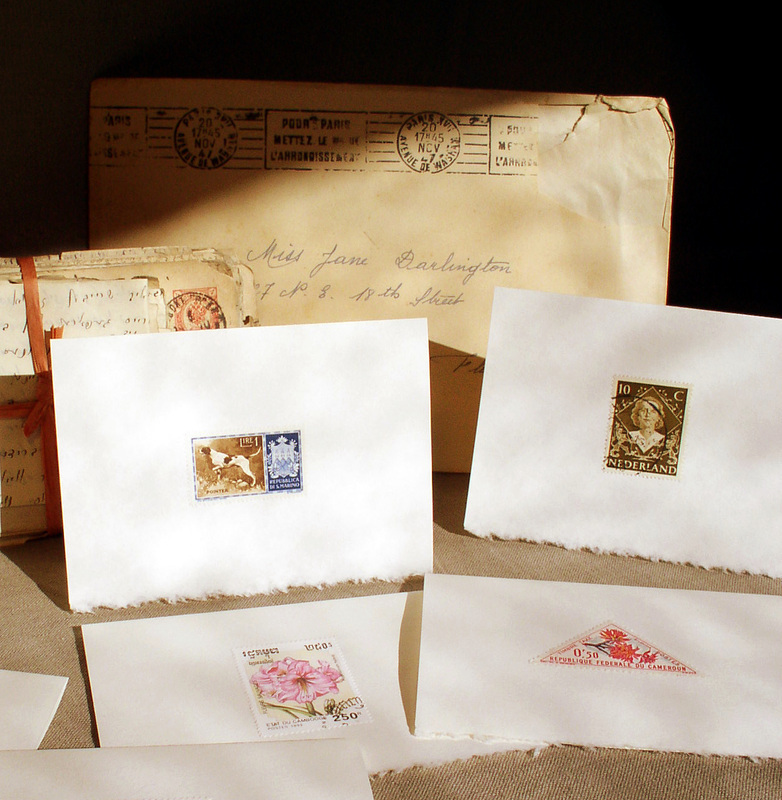 Vintage index card gift tags. 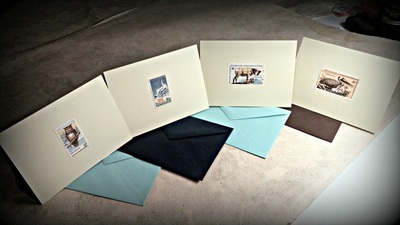 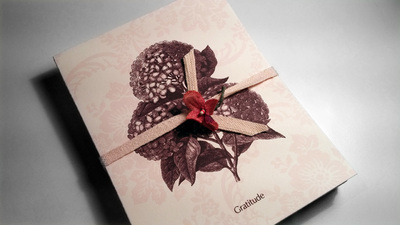 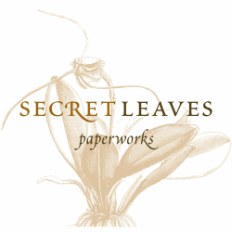 Blank note card gift packets. 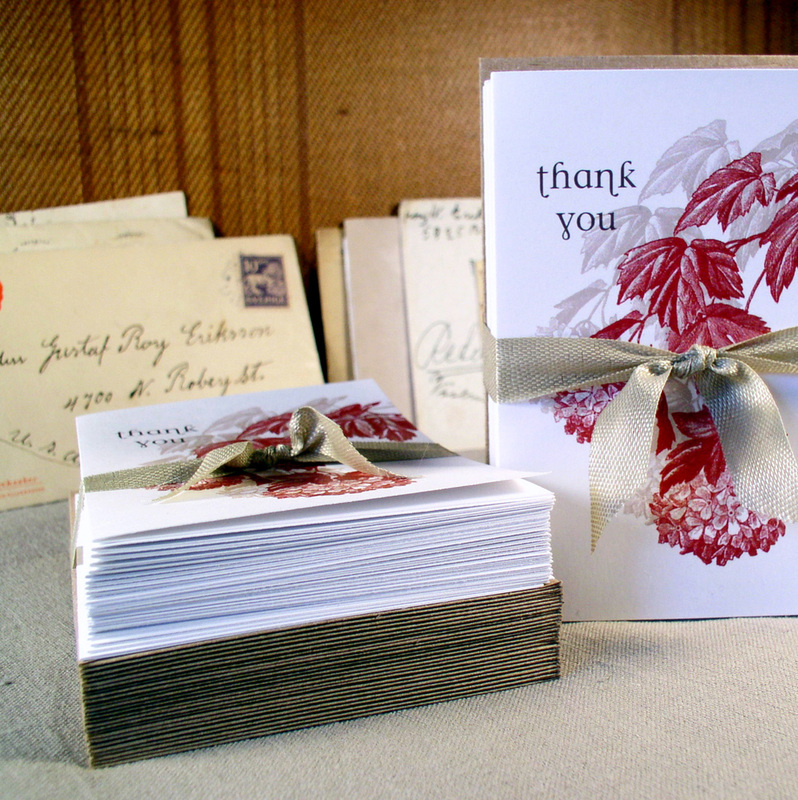 Custom wedding thank you card with hydrangeas.